Everything was easy with these folks. 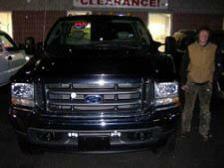 I had done lots of research prior to going to their dealership, and looked at a lot of trucks. From the moment I shook hands with them I knew they were a stand up organization. 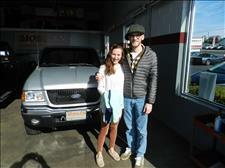 No sales pressure, just positive attitude and shared excitement over the prospect of finding that perfect truck. They even performed a small fix for me within days of the transaction (out bulb in the dash). The whole thing was a breeze. 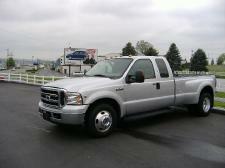 This place is a great spot if looking for used pickup truck, with tons of options and variety. 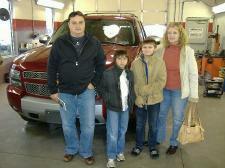 They also have a huge inventory of excellent condition Ford Rangers which are a lost beauty in the truck world. Would recommend anyone to go here and check out what they've got no matter what type of car they are looking for. They made the process fun, easy, and led me to be confident in my purchase. Overall great buying experience. Freedom to explore the vehicle without feeling pressure to buy. Easy online application process. 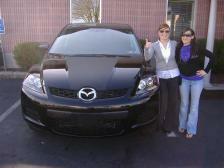 Mark went the extra mile to get us the best APR and desired monthly payment. Paperwork and vehicle where promptly waiting for us to complete and drive away. My husband bought a truck there from Mark just recently. I was there the whole time and wow what an experience! By far the best customer service either of us have had with anything! Mark was awesome to deal with and extremely accommodating. He got the transaction started while we went and got Lunch. 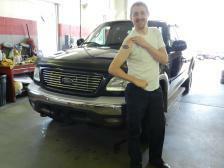 Also made sure the truck was detailed and spotless while we signed the paperwork. Introduced us to the owner as well and it shows the kind of operation they're running there. We will be lifetime customers for sure! What a great 1st buying experience for my daughter! 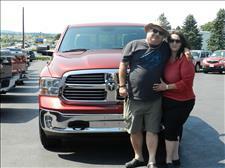 She bought a Dodge Ram, beautiful truck, which she had been wanting for years. Morgan made her dream come true! They were easy going, pleasant, knowledgeable, helpful, and REAL. We were introduced to everyone there, including the owner, who was humble and down to earth. They made us feel very comfortable and relaxed. They truly excel at customer service. 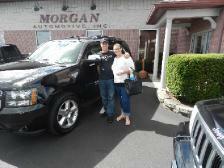 We highly recommend Morgan Automotive!! Just bought a 2013 Ram Big Horn Edition & I thought I was in a alternate universe. 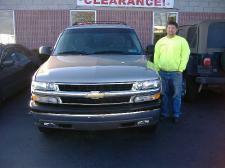 Mark applied zero pressure on myself while looking for just the right truck thru the final contract. They also took care of a small flaw in the body and taking care of chip in windshield that I missed while buying. My experience was fantastic and I am recommending Mark and Morgan to anyone I interact with in the market for a great pre owned vehicle. 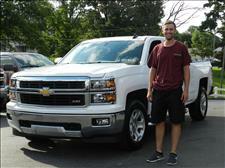 I recently bought a 2015 Chevy Silverado Z71. Great prices on all their vehicles. Mark is a very great guy that will give you his opinion on the questions you ask him. I asked Mark if the bumper could be looked at as it was tilted back( from factory) and Mark and the rest or Morgan Auto got it taken care of right away without hesitation. 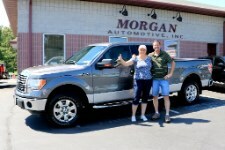 You truly could not beat the price Morgan auto was asking for for the truck. other dealerships where asking 2-4k more for the same amount of miles and or 10k more miles with the same trim level for more money. I will be doing business with Morgan Auto again! 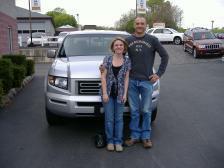 I spoke with Mark Friday morning and by Friday evening I was driving home in my amazing Honda Element. They sold me a very great car for a very fair price! 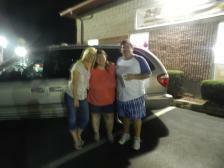 We got to meet Doug who is a wonderful guy and had nothing but we'll wishes for us and our new car. 10 out of 10 would buy from them again. I have owned this car for 9 months and I have no regrets at all. This is by far the best car I have ever owned. Thanks again to all of you for selling me such an amazing car!! These guys have a solid 5 star record because they deserve it. I researched one of their vehicles and got in touch with Mark. I live 100 miles away but I still chose to buy my car from them not only because the car was excellent but also because of the professional frank way of communicating. They got me approved for a loan that works real well for me. 10/10 recommend. Great experience when buying my '06 F350. Staff was very efficient and responded promptly to email requests. 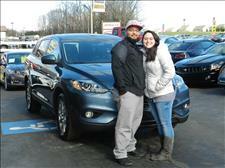 There was no pressure to "buy now" and the staff was very friendly and honest. 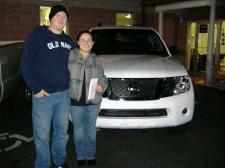 Paperwork process was very quick and efficient, I had my truck and was heading home in no time at all. 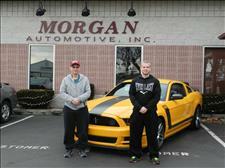 I have been looking for the past 2 years for a 2013 Boss 302 Laguna Seca and I found one at Morgan Automotive! I have had many vehicles already and this was the best experience I have had so far with ever getting one! Everyone there was so helpful, nice, and honest/straight forward with the car and did not try to hide anything. 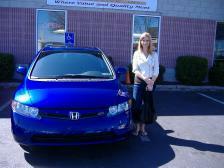 It was an extremely easy and not painful process at all with buying the car which I know that cannot always be the case. I would recommend Morgan Automotive to anyone! I've purchased many cars in my lifetime and this was by far the best experience I had. 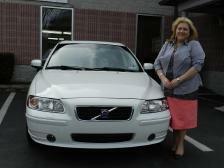 I got a great car at an awesome price. 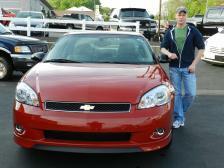 Mark was honest and upfront with me and it was refreshing that thr process was seamless and hassle free. No hidden costs, junk fees or or inflation of numbers just straight forward. It was welll worth the 3 hour round trip drive. 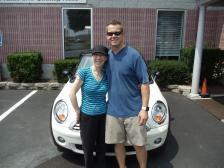 Regina just picked up her 08 Mini S from our dealership and is very happy with the car and service provided. 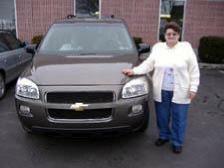 Hello Doug and Sue, I just wanted to personally thank you both for your help during my purchase of the 2005 Altima. I appreciated the time each of you spent with me in order for me to be able to drive off the lot. So far I am very satisfied with the decision.  Also your service and hospitality were excellent and I will certainly recommend your dealership to anyone I know who is looking to purchase a vehicle. 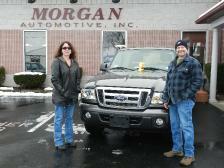 We had a wonderful experience at Morgan Automotive. 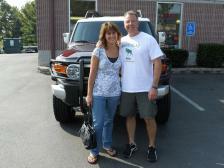 They were very friendly, helpful and successful in helping us drive away in a new car. 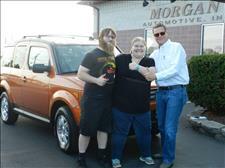 Morgan Automotive treated me excellent and had my vehicle ready and all the things I asked for where done as well. 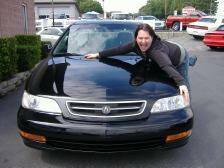 I had a very nice person (Mark Brullo) and I would recommend Morgan Automotive to anyone. Doug and Sue, Many thanks for the holiday cheer that arrived in the mail the other day. I served as a Quartermaster for Troop # 95 out of Cedarville, Pa. for many years and learned to enjoy the benefits of the popcorn drives. 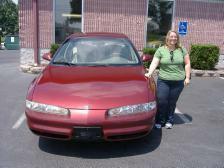 I also wanted to thank you and your staff for the very warm and friendly way in which we completed the purchase of a 1999 Mercury Villager Sport van. 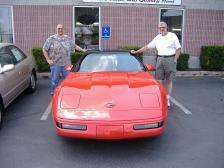 I have been around the buying and selling of automobiles as an adult for nearly 35 years. I have purchased some very expensive collector cars, as well as inexpensive daily drivers through a host of sellers across this country. 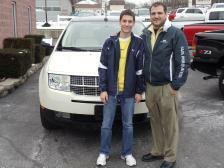 I have also purchased vehicles through both the York and Manheim auctions some years ago. I have to say that the experiences in those transactions as a buyer are quite varied. 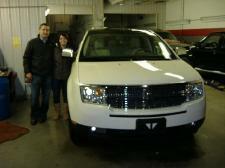 The buying experience that you and your staff provided to me with the above purchase is unparalleled! The vehicle was everything that it was advertised to be and more. Your dealership has the feeling of home and I was very comfortable with our time together. I was genuinely surprised to receive the dinner gift certificate as I waited to have my new purchase inspected and reviewed one last time. The facility was extremely clean and orderly too! I was introduced to your facility via the internet with the posting of the above Mercury Villager. The value of the vehicle looked to be excellent, so I took the next step of visiting the dealership. From the moment that I spotted the van on the lot, I felt that it might be going home with me. After a few minutes of my looking the van over, Sue emerged from the office to simply say , " Hi I am Susan Morgan. If you have any questions about this van please don't hesitate to ask". I had a few questions and she had the answers without embellishment. She returned to the office to ask Doug a question for me and gave me the space to look over the van thoroughly. By the time Sue returned, I had already made my decision. It was then that I became acquainted with Doug Morgan. It didn't take but a few minutes for me to realize that Doug had a sterling personality and was not simply " all about cars ". Our conversation covered a wide range of subjects and personal passions that each of us had. I felt as if I was speaking to my brother. The experience was very personal, yet very professional. Even after our business work was finished, we spent the next hour or so just having conversation. I have spent 20 times more money on cars that offered 10% of Doug and Sue's hospitality and cordiality. Thank you for the opportunity to meet you! 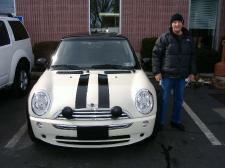 James was very happy with the purchase of his 06 Mini. We had a great experience at Morgan Automotive!! 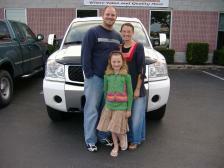 We had NO sales pressure and Mark worked with us to make us the best deal possible. We would definitely recommend this dealership to anyone. I was extremely happy with the service I received here. I am excited to drive my new car!!! Thank you Morgan Automotive. Hi I am Jeremy Heckman. 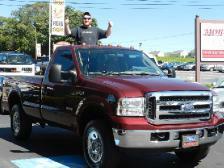 A couple of weeks ago I bought a F-350 from Mark. I wanted to take a minute to thank you. I am pleased with how well things went and I am very pleased with the truck. I have received countless compliments on it and I have referred two potential customers to you. No one over your shoulder pushing you to buy. Good prices and will help you any way they can. Great help/service. Doug, Sue and Mark, it was nice to meet you all last Thursday. 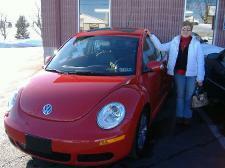 We love the red Beetle, and also does everyone we show it to. We look forward to seeing you again, as I am really considering the Lincoln Crossover we discussed. We will be more than happy to provide a reference for you guys if ever needed. Best Regards. 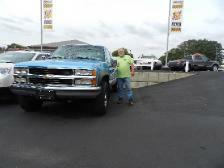 Paul recently purchased a Chevy Silverado from us and mentioned that he really liked the customer service we provided him and the no hassle pricing was easy. The service was very nice... They make you feel great about your purchase and I would recommend them to anyone. 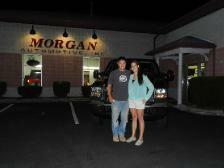 This is Wes and Corinnes second car from Morgan Automotive and are very satisfied with the service provided to them. 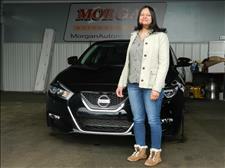 Buying a car from Morgan Automotive was easy and stress free. Thank you, Thank you, Thank you for an amazing experience! we felt at home from the moment we walked in the door! we loved working with all of the guys! They are wonderful ! I am in love with my new Acura MDX! we will be sure to shop here again and recommend you to everyone! 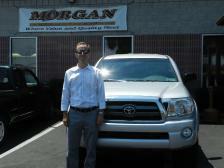 I purchased a Toyota Tacoma at Morgan Automotive and was thoroughly pleased with the honest, low pressure service that I received from Mark. 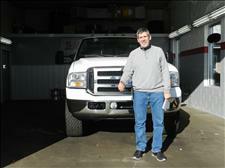 In addition, when a small problem occurred with the truck a few months later I checked with Mark about whether they would be able to help out with the repair. I was pleasantly surprised when Mark had me bring my truck back and they repaired the problem at no cost....no questions asked. What an excellent example of high quality customer service! 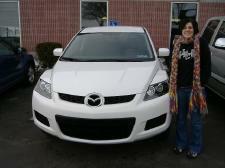 Melissa says- The service we received from Morgan Automotive exceeded our expectations. We feel they were extremely upfront,direct and personable. 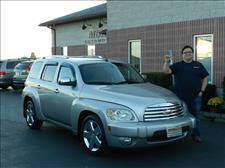 Stephen says- Our experience at Morgan Automotive made the process of purchasing a vehicle so easy. 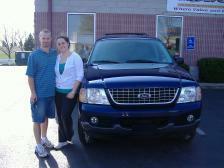 We felt very informed and were treated as if we were the only people there looking to purchase a car from them. I would refer them to anyone. If you’re like us, you’re all too acquainted with that dreadful, nasty feeling you get when it comes time to buy a vehicle. You’re probably not looking forward to the thought of all that haggling and back-and- forth negotiating as the salesmen “go back and talk with the sales manager” and all the rest? Do yourself a favor. Buy your used car or truck here. We’d been buying cars for years and NEVER did we have a more pleasant experience than our recent purchase of a van from Morgan’s. What a breath of fresh air. 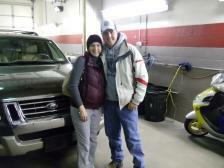 For our particular purchase we had the good fortune of working with owners Sue and Doug Morgan. Never once did we feel like we were getting the age-old stereotyped car salesman routine. There were no angles, gimmicks or silly “this car was made for you” sentiment. Just straight forward exchange of information, and with that, they went to work and did what they obviously do well: sell cars and trucks. We were treated with respect and dignity as these folks worked genuinely hard to find us a dependable vehicle to suit a very strict budget. It was actually nicer than that-we were treated like family. Having just put 2 kids through college simultaneously, there was no surprise our debt and obvious marginal credit score would make financing a purchase difficult. Sue and Doug didn’t even bat an eyelash…they were determined to help us. 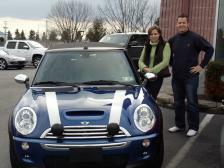 Local financial institutions knew of Morgan’s outstanding reputation and had no problem knowing they would be financing a worthy vehicle. After a few short days, we got the word from Sue they had found a lender who had faith in us and the deal was done. Far be it from the day when we ever thought we’d write a testimonial about an auto dealership, but here it is and we can’t say enough good things. Thank you Morgan Automotive! Thank you with all the genuine sincerity and wholeheartedness we can manage. Our 2 kids we mentioned earlier? Shortly, they will begin their professional careers and will very soon need their own vehicles. No need to guess where we will send them! Out of the area? Take the drive…it’s worth it! 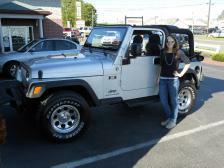 The farthest I have ever driven to buy a vehicle, but it was worth every mile! 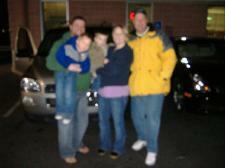 Morgan Automotive is the best dealership I have ever dealt with and I have dealt with quite a few . 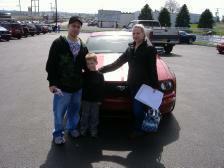 They had the vehicle I wanted and made it easy to purchase. They don't play those stupid mind games like many other dealerships . I would recommend them to anyone seriously interested in buying a quality vehicle. 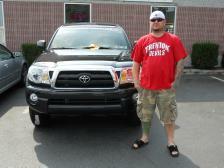 Andy recently picked up his Tacoma from us and has been very happy with the truck as well as the service our dealership provided him. 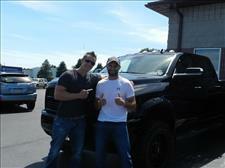 Morgan Automotive pulled out all the tools to get me my dream truck at a price that I could afford! The sales team of Mark and Karl went above and beyond to meet my needs. 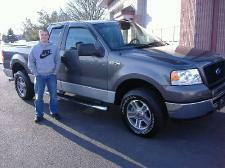 Last week I purchased the F-150 XLT from Morgan's. You may remember me as the crazy tattooed Buffalo Bills fan. 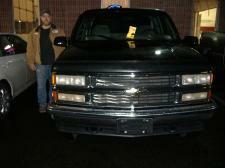 I am sending this letter to thank you for finding me the truck that will be with me for many years to come. The condition, mileage and price met all my need's. There was no need in playing games between me and the staff which was refreshing. To have the opportunity to do business with you has been enjoyable. This is the third vehicle I have ever owned ,and the best dealership I have experienced. The family has heard where I bought the truck and not one of them said I was ripped off. For now, this may be the end until the next decision. However, we know that we can agree on prices, vehicles and of course the Buffalo Bills. I hope the business for your dealership continues in the same direction. Until later go Bills. Thanks to Doug and Sue..... I appreciate you going out of your way to help to get my new truck. This is our 3rd vehicle we bought from Morgan's and everyone that works there are great people and go out of their way to help. Thanks again for being a caring and helpful dealership. 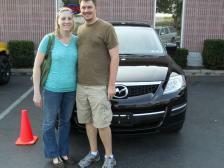 Drew and Kelly recently drove off in their new Mazda CX-9 and where very happy with the service they got at our dealership. 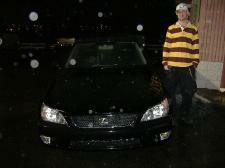 Dave recently purchased a Lexus IS300 from us and was really happy with the upfront and honesty he was given. 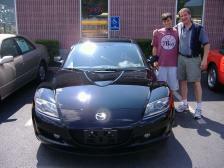 I wanted to let you aware of my first (and not the last) experience with Morgan Automotive. I was lucky enough to be pointed in the right direction, by locating a truck via web search. I found that: 1. Better pricing compared to others 2. No hassle type approach by sales 3. Friendly customer support 4. The communication and follow-up after the sale couldn’t have been any better or easier Thanks Mark, Frank and Karen for making this one of the easiest deals for me. I can honestly say that I was treated like family. 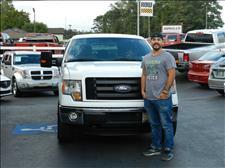 The joking and laid-back atmosphere made shopping for a truck a heck of a lot easier for me! Who says buying a car can't be fun? 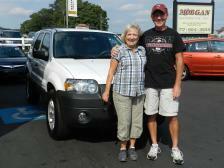 We just bought a great little Ford escape hybrid at Morgan's. Mark and the folks there made it a more than pleasant experience. Not only did I get a great deal with a more than fair price for my trade in, I feel like I made some new friends. Which is infinitely more important! I would like to extend my most sincerest thanks to Doug Morgan and MARK Brullo for the exceptional experience I received from Morgan Automotive. Mark's professional and friendly personality put me instantly at ease. He really listened to my need's as a customer and delivered spot on with a seamless sale. All I had to do was show up and sign on the dotted line. I highly recommend you stop by Morgan Automotive and check out their excellent selection of beautiful cared for Pre owned car's. You will be glad you did. I'd searched for a while for a very specific model with the right miles, options, color, and price. Morgan Automotive just happened to have what I was looking for. Although I lived several hours away, I called first and spoke with Mark Brullo over the phone who was very knowledgeable, friendly, and helpful. After deciding it was worth making the trip down from Syracuse NY, the car in particular ended up being just as described. I was also very impressed with the cleanliness of the entire premises, the appearance of other vehicles offered on the lot, and professionalism in sales and service. When I arrived the following week to pick up my new car, they had gone above and beyond my expectations! The car is GREAT and I LOVE it! Thank you Mark, Doug, and Sue! 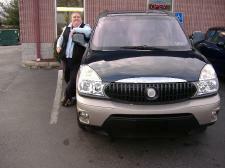 When I found what looked like the perfect Buick Rendezvous on Auto Trader and I realized it was at a “used car dealer” I cringed. Having had a few bad experiences with that breed, my instinct was to run, not walk. But it looked so good that I reluctantly made a phone call. 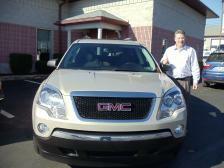 I spoke to Mark, their sales manager and found him very personable and knowledgeable about the vehicle. He answered every question I had including the all-important “Can I have my own mechanic look at it?” Based on that I decided to drive over and have a look, and to my astonishment it was as good as it looked and hadn’t been misrepresented in any way. I also met Doug and Sue Morgan almost immediately upon arriving and found them to be the antithesis of other used car dealers I had ever met. I took the Rendezvous on a very lengthy test drive, took it to my own mechanic who found no flaws, and within a few hours I had decided to purchase it. It turned out to be just about the easiest vehicle purchase decision and most painless car buying transaction I’ve ever done. I highly recommend them to anyone looking for a quality used vehicle. 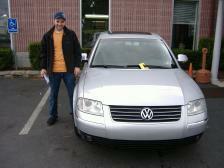 Excellent customer service , quick responses , Loved dealing with Mark and Karl and would definitely recommend.